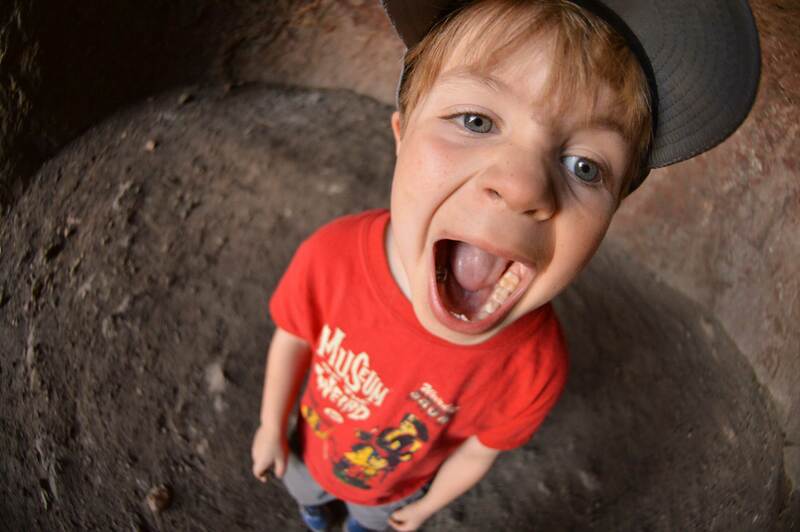 There were a lot of cute kids climbing up the Aztec Caves Trail in the Franklin Mountains (El Paso, Texas). This one agreed to pose for me when we got up into the caves. Due to being low to the ground, this child was able to see little creatures I didn’t notice. Like this Chihuahuan Collared Lizard. It took me a while to identify this lizard. 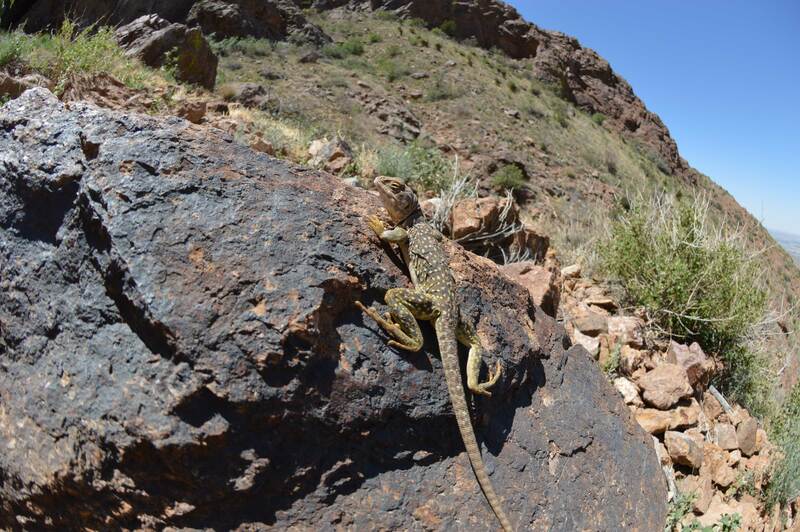 This species of collared lizard lives only in El Paso County. At least, so says the internet, which we all know is infallible. This little lizard was a great sport and posed for many pictures! Friendly lil’ guy. There was another small, gray lizard running around the trails. I couldn’t get one to stop for a picture though. They just run like crazy when they see hooo-menz. Their little tails curve upwards, and they dash into the brush as if squealing, “AAAAAAAAHHHHH! AAAAAHHHHH!” in a panicked lizard voice. Meanwhile, Mr./Ms. Collared Lizard was proud to show off his/her pretty spots and weird, grabby feet.